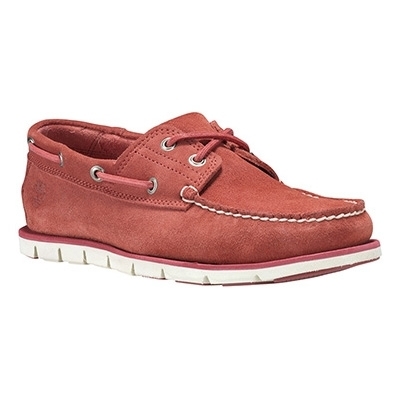 Timberland Tidelands 2 Eye Boat Shoe. 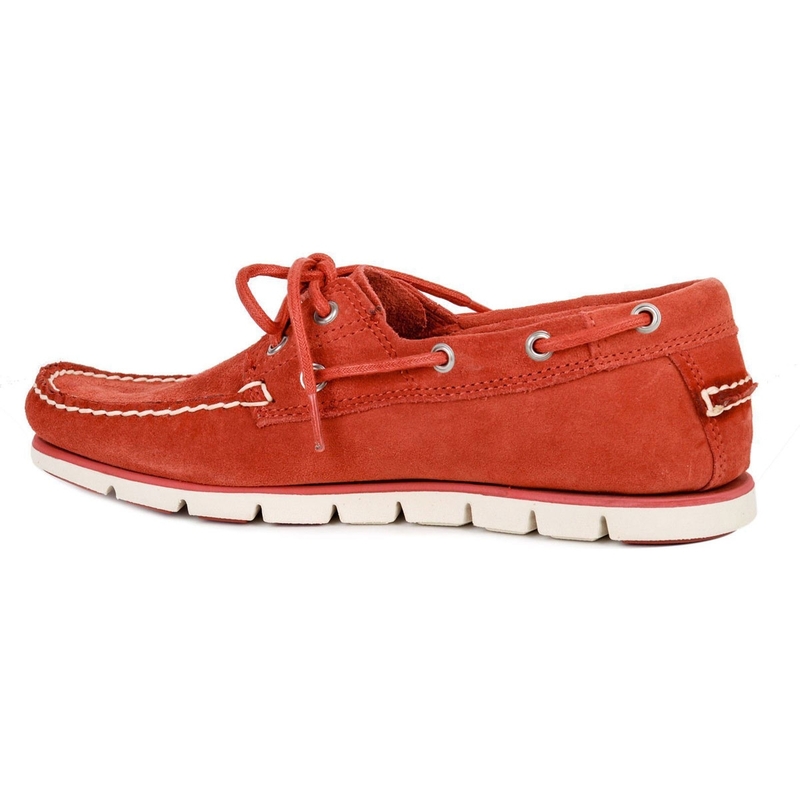 Sail away in style courtesy of the Timberlands Tidelands. 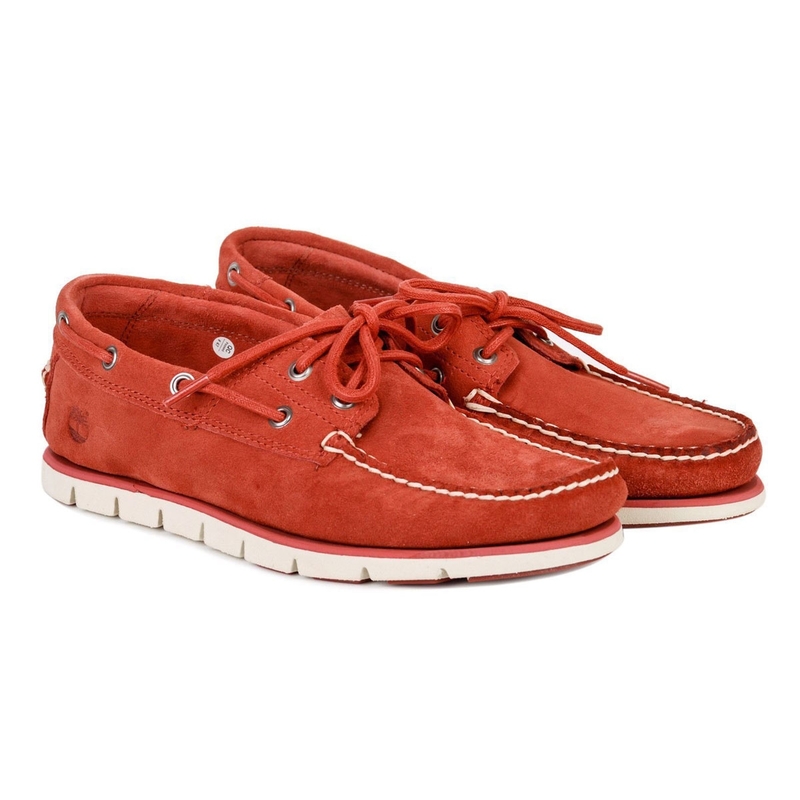 The 2 Eye boat shoe features a brown leather upper, joined with stitch details and 360 degree lacing for an authentic feel, complete with SensorFlex technology for long-lasting comfort. Very comfortable! The lacing on the sides are true Moccasin style, not just for decoration .They are not separate from the top but one long lace,so you can cinch it up all around the ankle as well as the front of the foot. This ,combined with the very soft and high quality leather lining lining, makes for a nice holiday shoe!&nbsp;Colour is a matter of taste(may not suit all as stands out a bit), but should go well with brown and yellow Hawaiin shirt and bright white shorts ! Shoes were ok however the tongue under laces could have been 12mm longer! Quality good and very comfortable.